Don’t let your car or truck get hit by parking it on the street. When you run out of vehicle room in your garage or driveway, trust your valuable belongings to Storage Cresson. Your weekend and vacation vehicles, such as RV’s, trailers and boats, are safe with Storage Cresson until the next time you want to use them. We have a variety of parking space sizes available! Our largest sizes are perfect for RV storage. Store your vehicles with us on your schedule with our month-to-month rentals. We have plenty of room! We have RV storage and boat storage spaces for you. You can access your vehicle 7 days a week at our property. 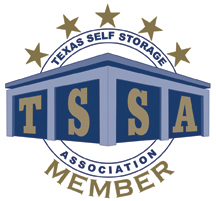 Our well-lighted storage has wide aisles to accommodate large trucks and trailers.